Animal abuse is very broad in context and it would not do the field of study justice to laconically define it by representative phenomena or isolated incidences. We as a people are aware of the ill-treatment and exploitation of our mute counterparts as is portrayed to us by the various forms of media, that we are exposed to in everyday life. Newspapers are habituated to depict the world of injustice and unfairness as it is, both in human and non human terms. And as awareness grows, newspapers become more and more liable to bring out horrific stories about the wrongdoings meted out to animals, the laws that protect them, and the near futile attempts by lawmakers and officials to implement those laws and right those wrongs in the midst of red tapism and corruption. However as is the case with most aspects of life some aspects of animal welfare are more intensely highlighted than others, and our scope of vision and consequent opinions remain limited to that which is illustrated to us. It sometimes takes a harsh life altering incident to open one's eyes to the hitherto unobvious facts. Such an incident occurred a few years back with me and it was instrumental in broadening my perspectives of animals and their sensitivities, emotions and pain. I have always been a tad bit more sensitive to an animal's emotive capabilities. I have more often than not, been able to relate to an individual animal's needs and prevalent moods, and handle the animal accordingly. I have always felt a strong bond with all animals irrespective of species or size and have many years of animal handling experience behind me. Even so, I can safely say that nothing had prepared me for that which I experienced in July 2001 and very little can erase the memory from my mind. I was studying in the second year of junior college in Bhavans college, Andheri. My subjects were physics, chemistry and biology and I had to attend practical sessions as an ensuing part of my curriculum. I still remember that bright sunny day when we headed out for our biology practical class. We were an enthusiastic bunch as are teenagers in the prime of life, ready to take on what the world has to offer, and ready to devour any bit of knowledge that came our way. 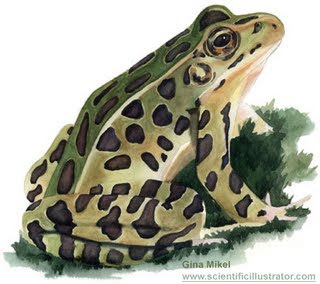 Our professor rounded us up at the dissection table, and much to my consternation, I found a large frog lying there. I vividly remember his hands stretched back and tied above his head, while his legs were stretched below and tied similarly. His face was upturned and his eyes half closed. In that position, I could have sworn he resembled a human being. He could easily pass off as dead, except for the conspicuous lub dubs in his chest that gave him away. We were informed that he had been chloroformed, so that we could observe the procedure without being disturbed by sudden movements. Every one watched in pregnant silence as the educationist demonstrated with dexterity, the correct method of cutting into the body. With apprehension I watched as she held a fold of skin on the stomach with a pair of scissors, and my heart skipped a beat at the first snip. Aghast I watched as the scissor made it’s way through the v shaped opening right upto the neck and I felt numb as she widened the opening academically explaining to us the different organs, their placements and their functions. I did not hear the boy next to me fall unconscious to the floor, I could not hear what the professor was saying, I was aware of the lub dub alone, now more prominent than before. Suddenly out of nothing, the chloroform wore off and the frog awoke from it’s stupor. I felt insensate at the time, but from the flailing of his hands and the obvious agony on his face, I could feel a measure of his pain. The knot in my throat became tighter as more chloroform was hurriedly administered and thankfully he drifted back into blissful unconsciousness. After that we were shown the various organs of the body as she took them out one by one and kept them on the table next to the animal. It was like taking a machine apart. Only I knew that putting it back wouldn’t help. Through it all, the lub dub went on in the background like some melancholy symphony, that was still sustaining life as long as it could. And finally the source of the sound was detached from the body and shown to us. It went on beating for a while before the beats became irregular and then stopped.A law was passed the year after, that prohibits the use of live animals such as frogs, rabbits etc. For academic purposes at the junior college level. I was thankful for that, but something within me changed after that incident. For a moment in that lab, my consciousness had become one with that of the animal in front of me. His distress was my agony. Every time he hurt, I felt the pain. Every twinge, every spasm, every throb and every pang that frog experienced, I felt too and from that occurrence, I can vouch for this - The pain was extensive, the suffering was immense and the indignity was real. Vivisection has come to be one of the foremost causes of animal abuse. The case of the Silver Spring monkeys and the Brown Dog affair are blaring examples of the barbarism that man can come down to in the name of science. There are many arguments and cross arguments as to the limitations, laws and ethics concerning vivisection. Pages can be filled. Books could be written. All I know is that, life cannot be quantified as less or more important, because any animal that feels pain, should be given the right to live, protect itself, and if it cannot do so, we as the so called "intelligent" race should offer protection in lieu thereof. We must draw the boundaries between hope for mankind and torture to the friends of mankind.That little frog los t it’s god given right to leap freely, once the lub dubs of his heart were rudely terminated without his consent. But my perspectives about an animal's rights, it’s life and our roles as their friends and consequent protectors, took a quantum leap. My life will never be the same again. Neither will I.